BRONX, New York (WABC) -- Police are looking for a suspect in a series of robberies in the Bronx in the last several weeks. Around 2 a.m. on May 7, at a 7 Eleven on University Avenue, the suspect walked up to an employee, threatened her with a gun and demanded money. The employee gave the suspect about $250. About a half hour later, at a Kennedy's Fried Chicken on Southern Boulevard, the suspect walked up to an employee, displayed a gun and demanded money. The worker gave the suspect about $300, according to the New York City Police Department. 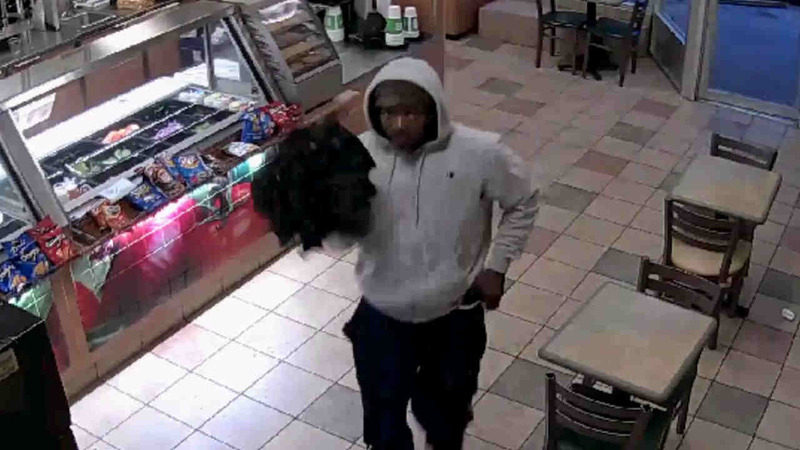 Around 8 p.m. June 4, at a Subway restaurant, police said the suspect approached an employee, threatened him with a handgun and demanded money. The employee told him he did not have access to the safe and the suspect fled, police said. The suspect is described as a black man, 25 to 30 years old, 5 feet 10 inches, and 180 pounds. He was last seen wearing a gray hooded sweater, black pants and he carried a black umbrella.